I have a 1990 Jeep Cherokee XJ. Here's some information. The goal is to have an enclosed 5-passenger vehicle that can tame the tough trails, but still retain on-road manners... a typical goal. We wanted a low cost-of-entry so that we would have plenty of money left for modifications. But we wanted it new enough so that we didn't inherit all the problems that come with any old machine. I bought a 1990 Jeep Cherokee XJ. I'm a 4x4Wire.com staff writer. 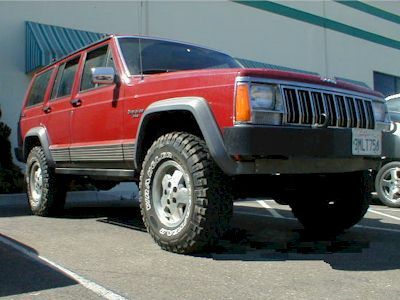 Visit the Jeep Section and Project SkyMiles to see more of my Cherokee XJ. Visit the Jeep Forums to ask 4x4 questions. I'm rebuilding my off-road trailer. Which tires: BFG MT or Goodyear MT?